A curve is a shape similar to a line, but which is not required to be straight. Almost any photograph can be improved by including an interesting curve. For a photograph, a curve is like candy. Try and think like a camera. These lines and curves are not visible to the human eye and only appear when the shutter is kept open for several seconds. The only way a photographer can see this photograph is to imagine what the sensor will do with the moving foam on the water. How: Set the camera on a tripod. Use a polarizing filter to take the reflection off the water and to lower the shutter speed. 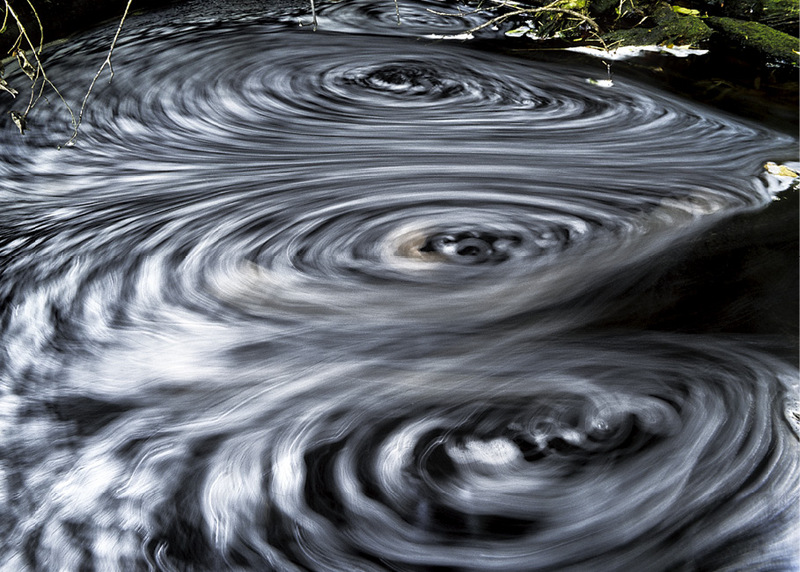 This kind of circular movement often occurs below a waterfall, where foam is created. Streams with tanin are also dark and work much better for this kind of image than clear water streams.